The Nissan CA18DET was the most powerful of the CA series engines. 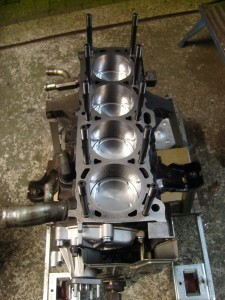 It was found upto 1994 in the 200sx S13, and replaced with the all-aluminium SR20DET in the new S14 model. Nissan added oil squirters (to aid cooling to the pistons) and very large intake ports over the other CA engines. 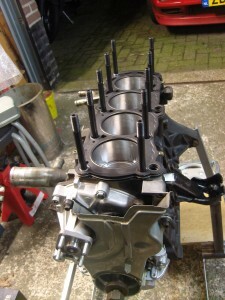 I had this particular engine rebuild back in 2005 but not with an oversized bore and new pistons, as the engine kept using oil I decided to rebuild it correctly this time and add some high performance parts to it. The 3 pictures below show the state of the engine parts when I started building it up again in 2014, it had been standing in a corner for several years and had covered only 19.000km since the first rebuild. 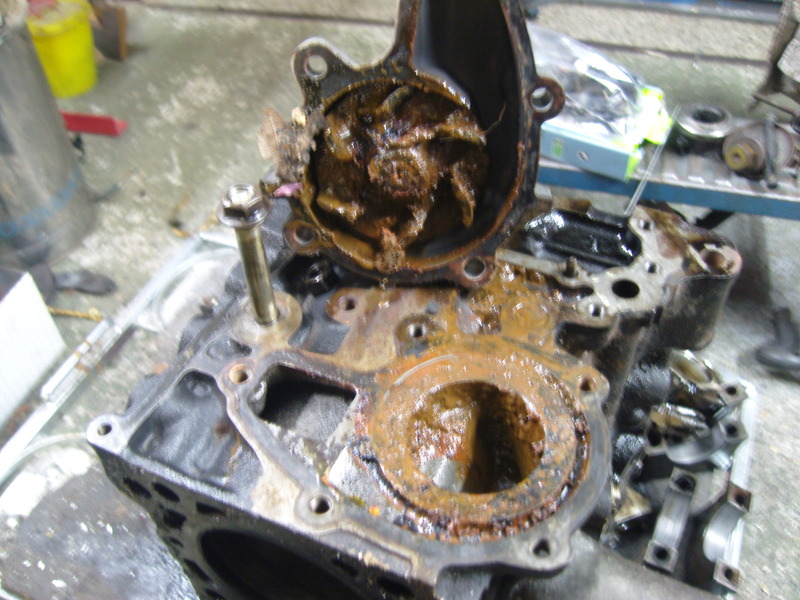 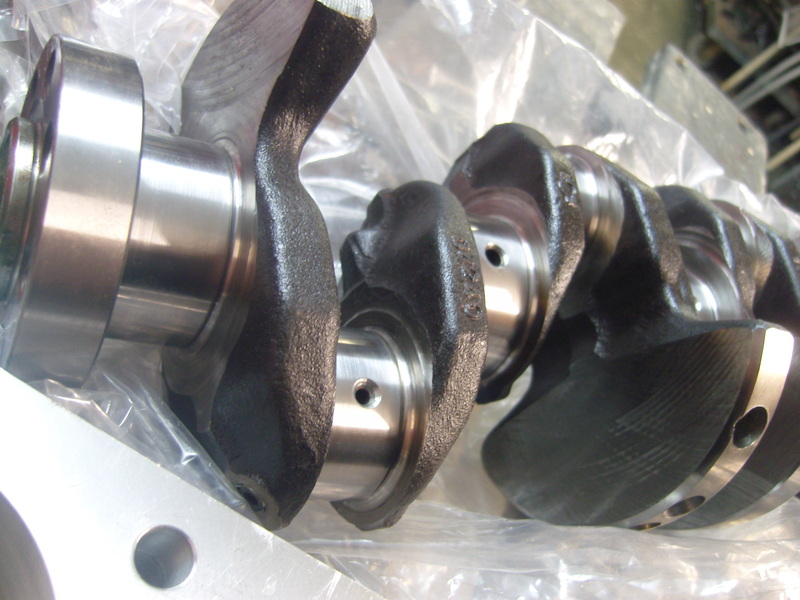 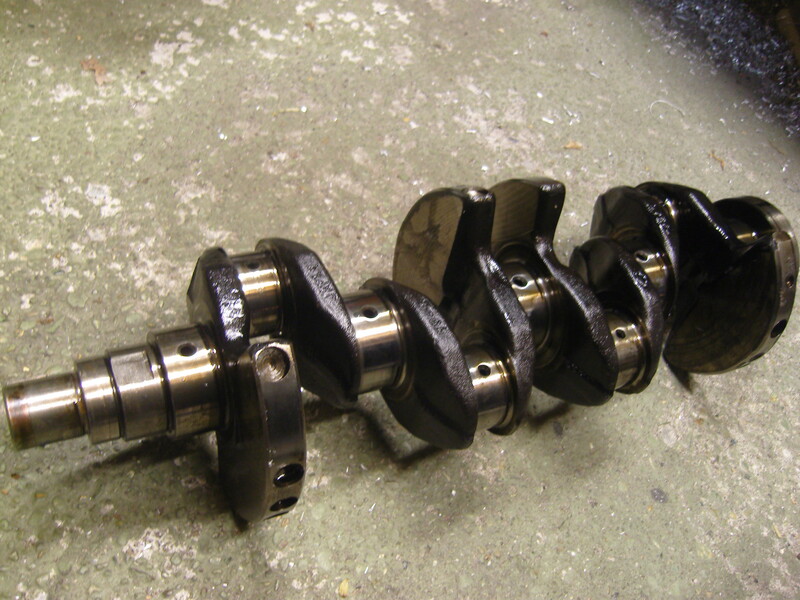 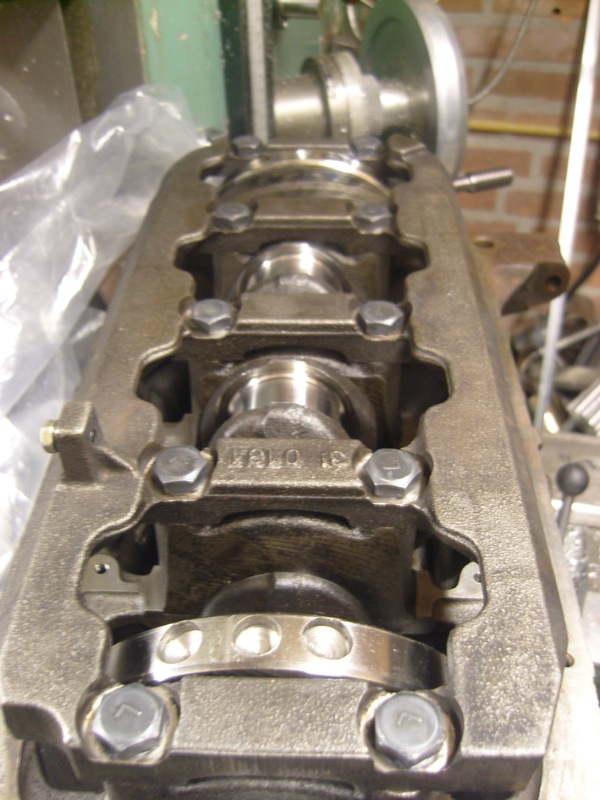 The con rod and crankshaft bearings showed abnormal wear for an engine treated as well as this one. When checking the crankshaft runout the out of roundness was so bad the crank could only be saved with a 0.25mm undersize regrind. 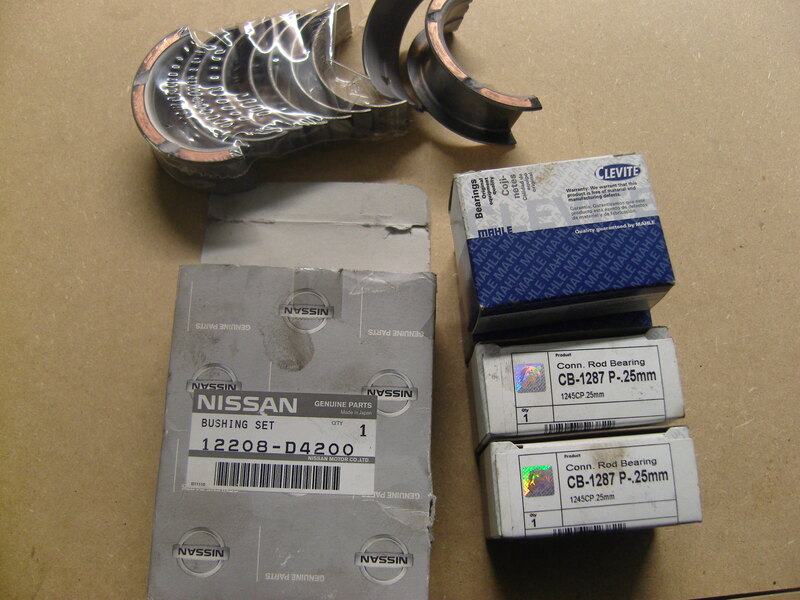 The new bearings are from Nissan and Clevite. 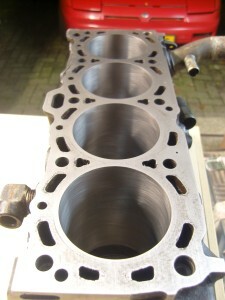 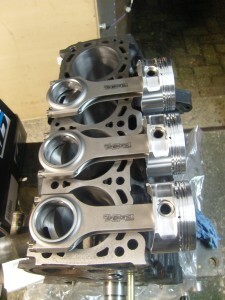 The engine is bored 0,5mm oversize to 83,5mm with forged CP pistons, held by forged con rods. 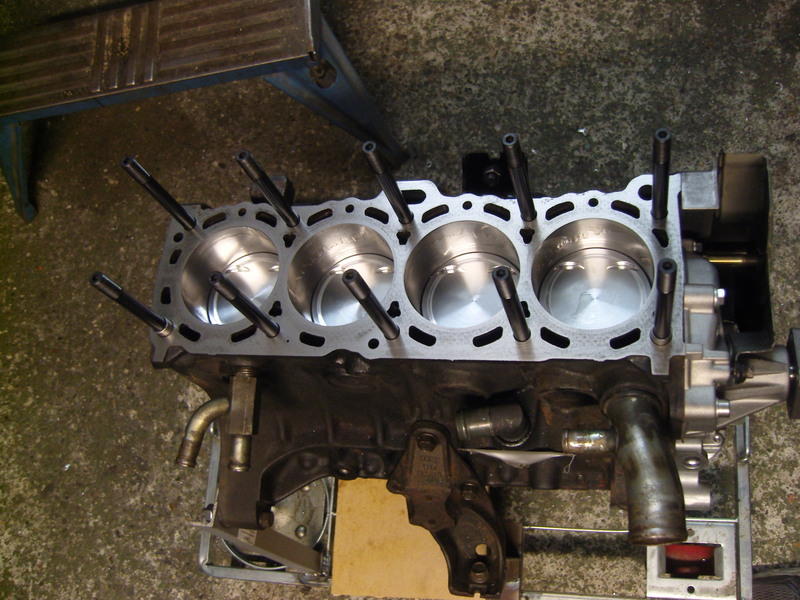 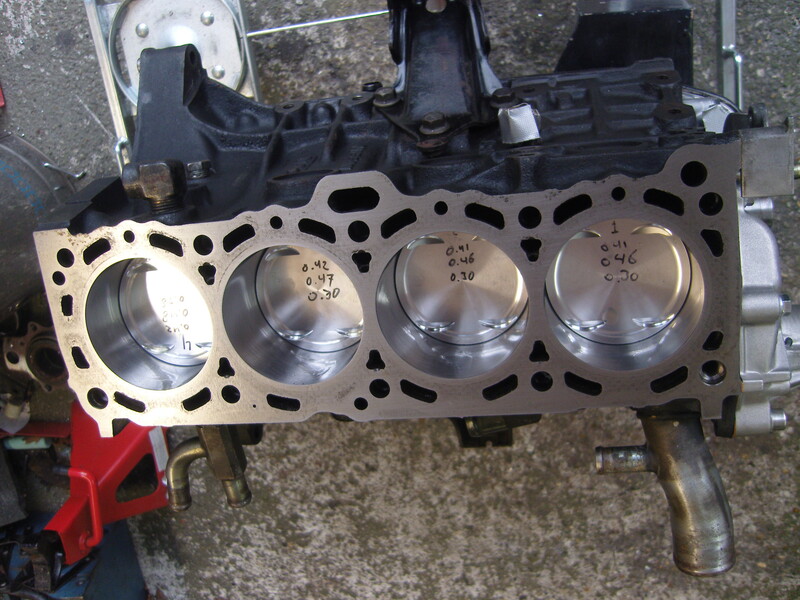 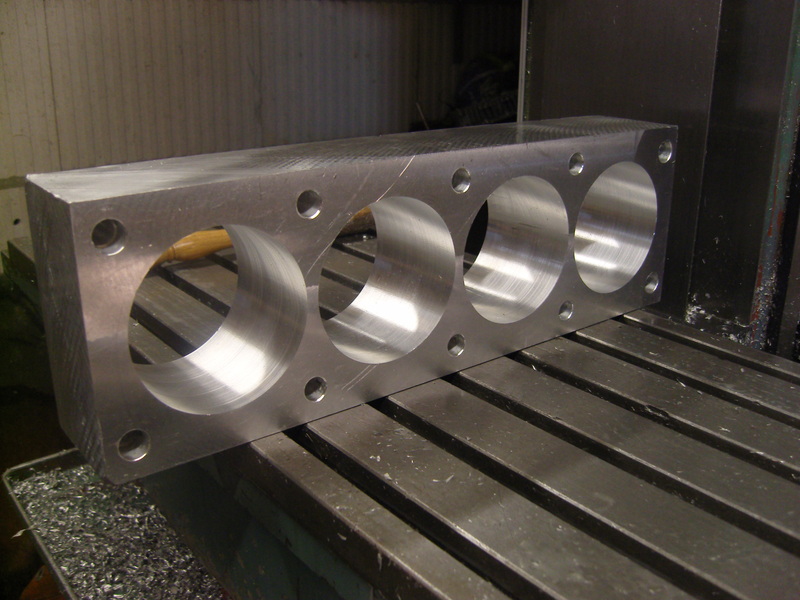 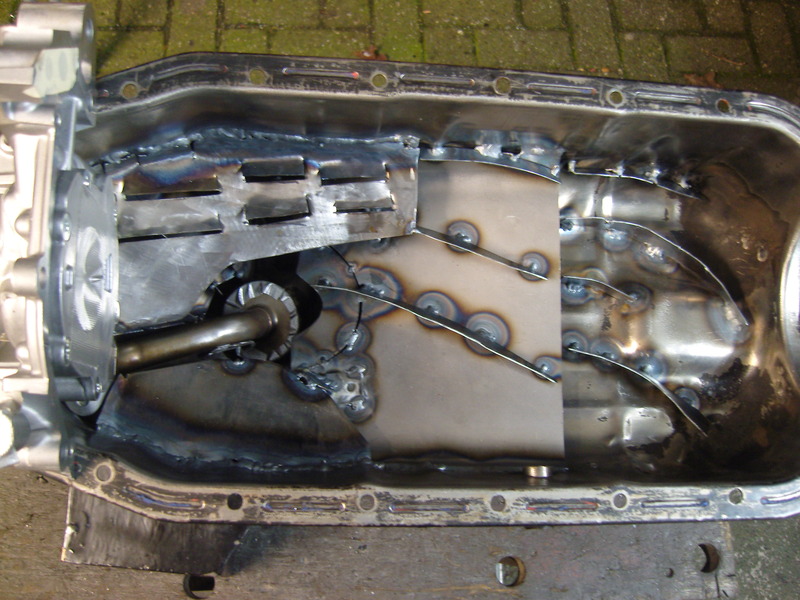 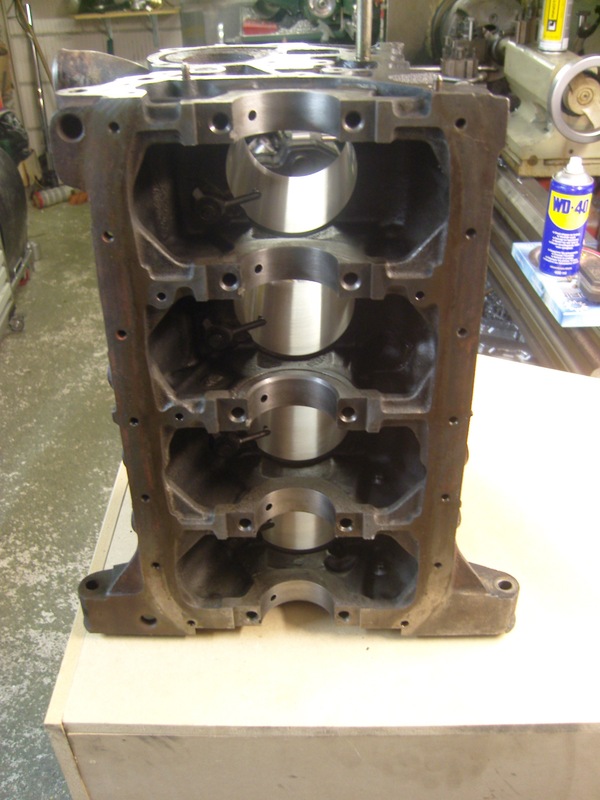 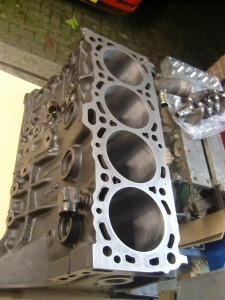 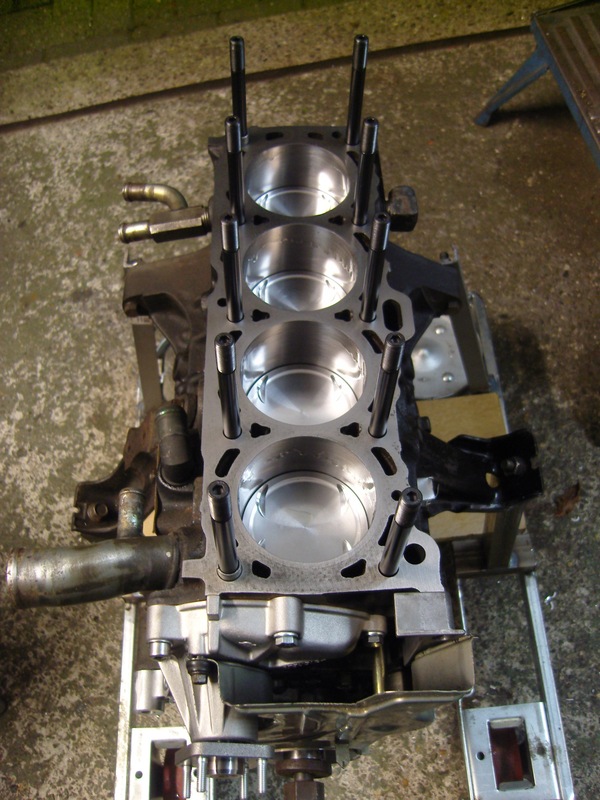 The head will be torqued down with ARP head studs and sealed with a multilayer steel head gasket from Cometic. 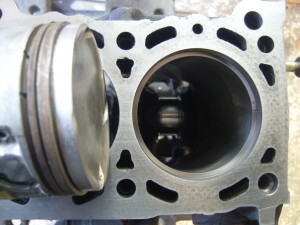 But in order to properly bore the cylinders, a deck plate is required. 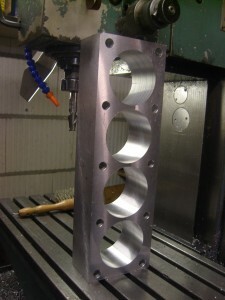 This mimics the head when it’s torqued down allowing the head studs to deform the area around the bore while boring it. 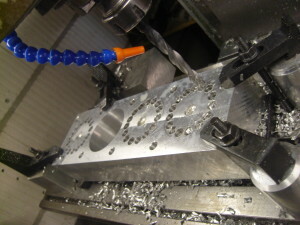 I bought a piece of aluminium in the right size and cut the deck plate on my own milling machine. 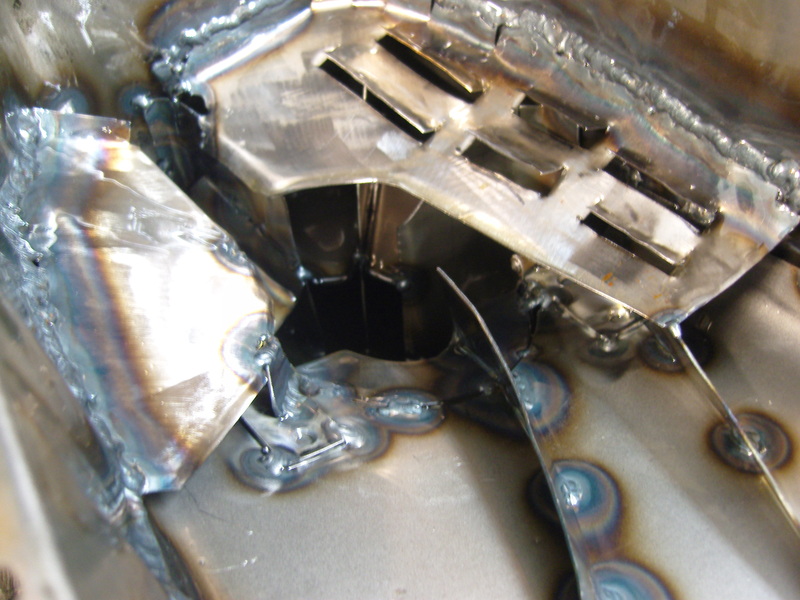 The holes are 2mm larger than the required 83,5mm bore. 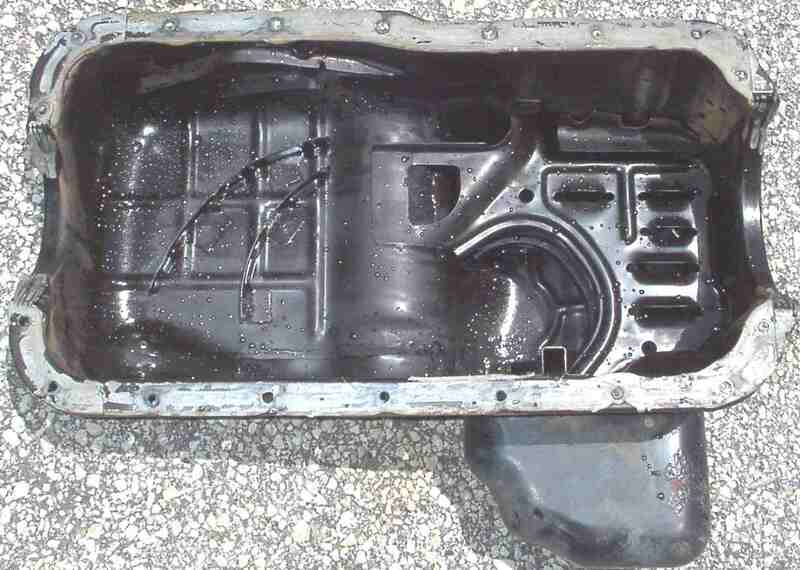 Pictures below show the bored & honed block. I intentionally had it not decked. 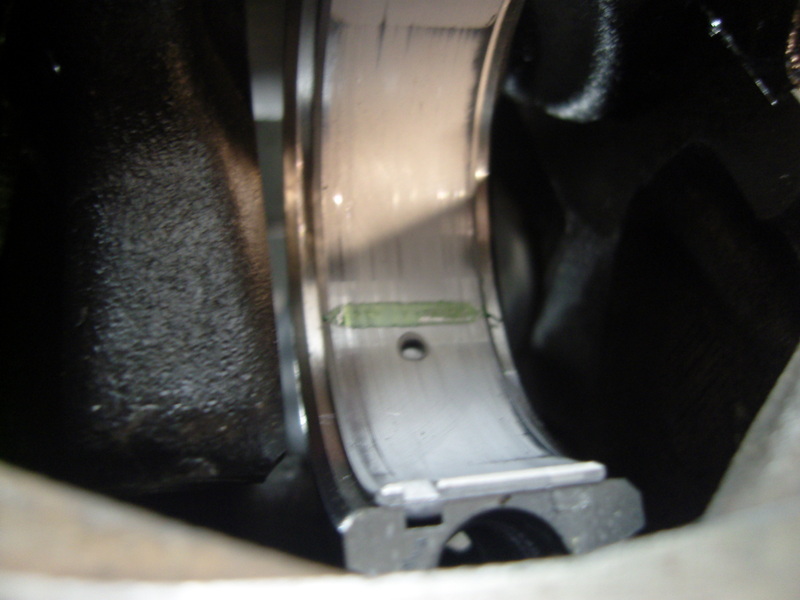 It was still perfectly straight and it had already been decked at the previous rebuild, I don’t want to keep raising the compression if it’s not imperative. 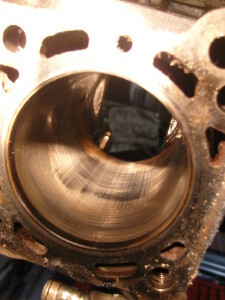 The picture below shows an odd profile on the surface. This is colour difference occuring from the previously fitted head gasket leaving a print from the combination of heat and pressure in the block surface, and due to the odd ‘stamped’ material the factory head gasket is made of. 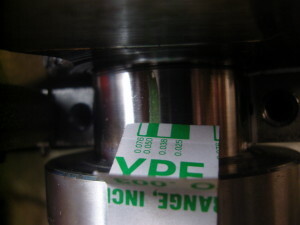 The imprint is too shallow to even measure, and even then the stamped material only covers the unpressurized parts in between the head and block. 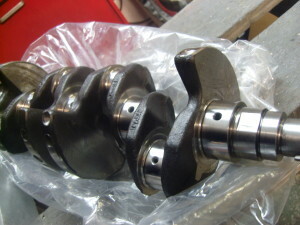 With the engine and crankshaft returned the assembly starts. 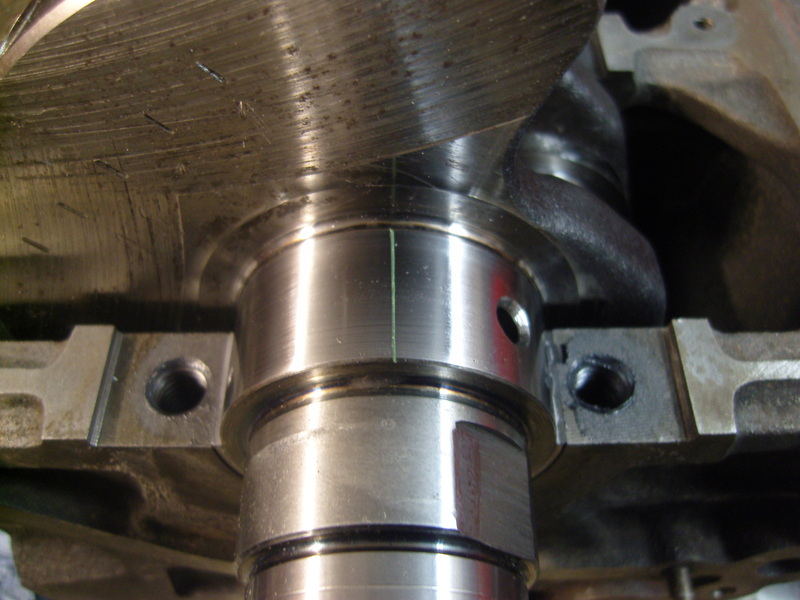 If I don’t have access to a 3 point micrometer (a rod type will scratch the bearing surface), I check the bearing clearances with Plastigauge. 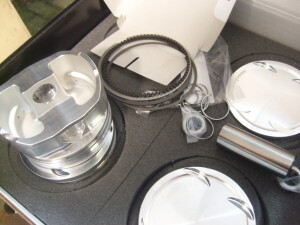 It’s a plastic compliant material that flattens as pressure is applied to it from torquing down the bearing cap. As it is fully compressed, it flattens out to a specific width that can be used to measure the actual bearing clearance. 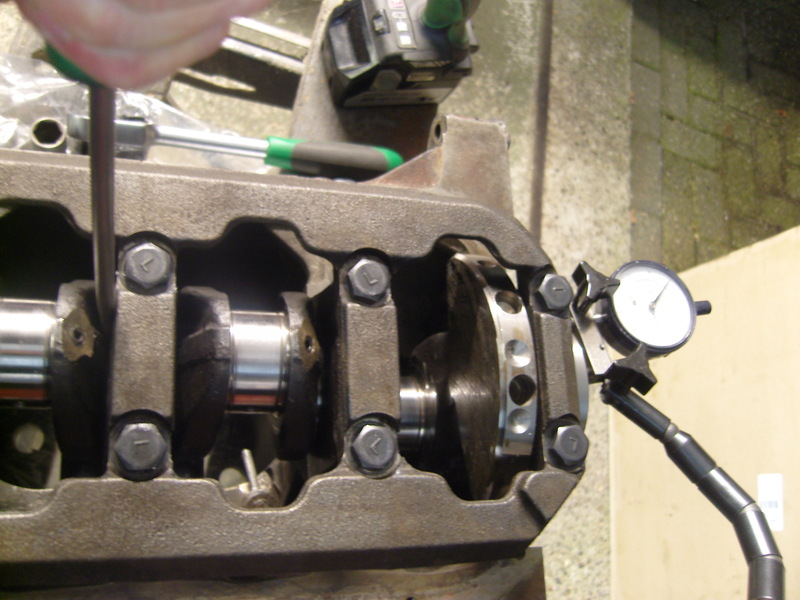 It’s not the best system, and quite time consuming, but compared to the 1000’s of euro’s for a 3 point micrometer set it’s good value. A Plastigauge does not allow for measuring out of round on bearings caps and if it’s used on a bent crank it may compress more due the forces. But none of that is an issue when working with a perfectly straight crank and block such as this one. The CP piston rings come with undersized ring end gaps, to allow the customer to adjust to their own spec. I cut the top rings to 0,41mm and the second rings to 0,46mm. 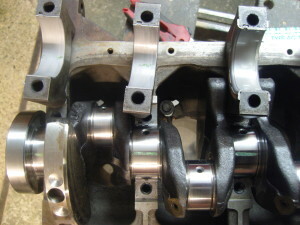 The oil rings are good to go from CP, in fact they are so thin you can’t even grind them without breaking. 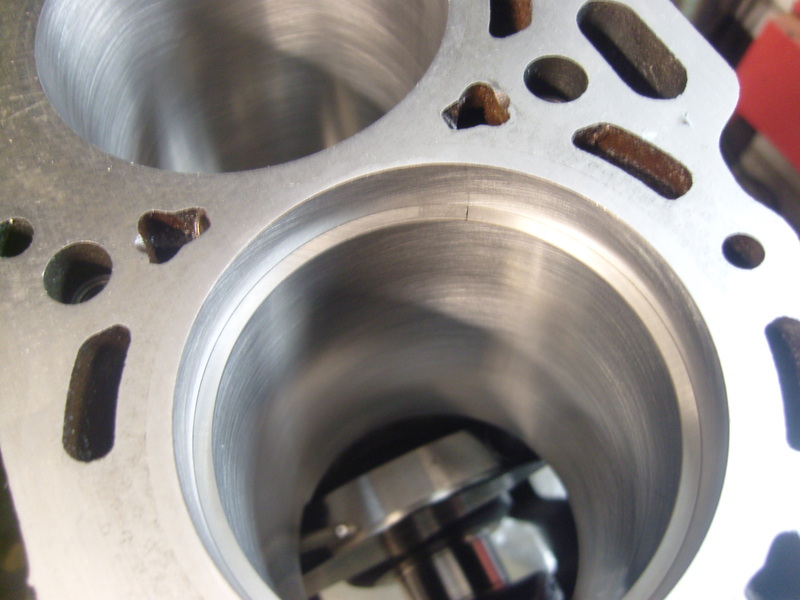 In order to make sure that the piston ring is perfectly straight within the bore when measuring, a ring squaring tool should be used. 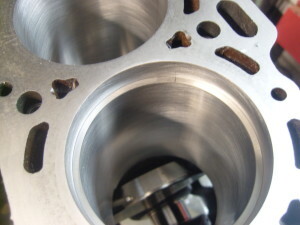 In this case, I took a 87mm piston and cut it down to about 83,40 to do the job. Installing the pistons after all clearances are set and rings installed, plastigauging the rod bearings as well. 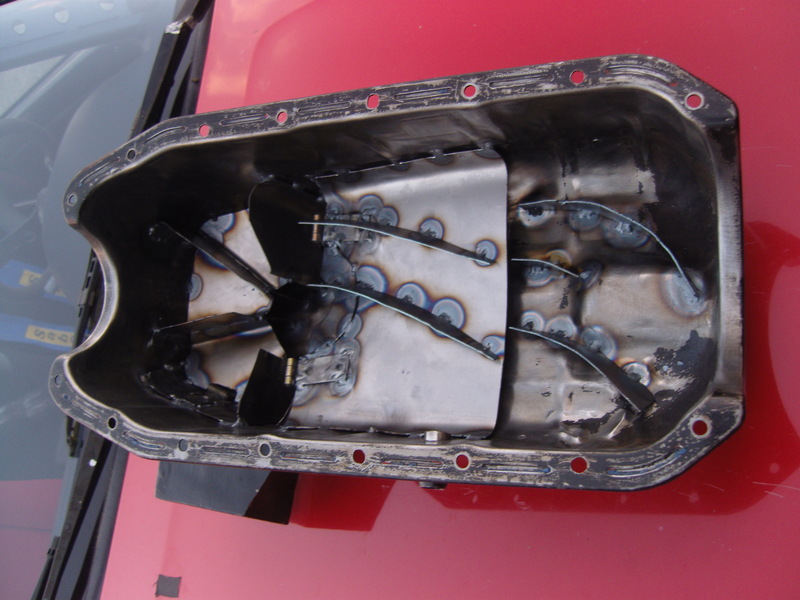 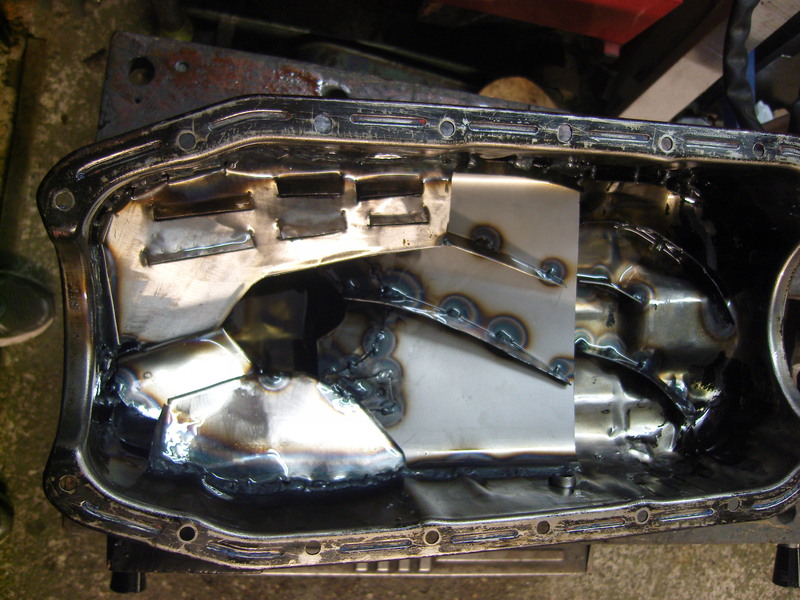 The CA18DET does not have any form of anti oil surge measures, except from a single windage tray (catches oil swept around by the crankshaft). Since many people who tune their 200sx also improve the suspension the engine will starve from oil in aggressive cornering. Higher end engines such as the VG30DETT have several anti surge trays within the oil pan, and I went to add alot of them to this CA18DET oil pan. 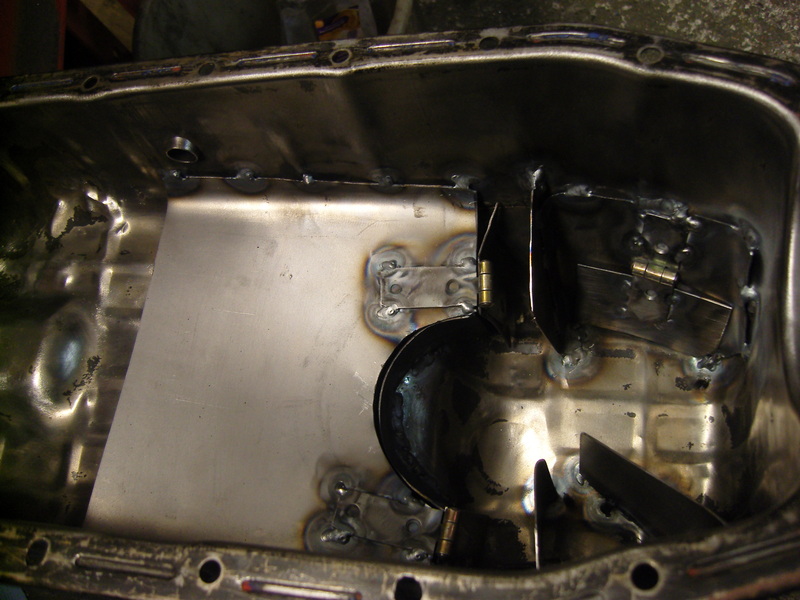 The oil pan is now filled with metal plates & trays that align with the oil strainer for the oil pump. 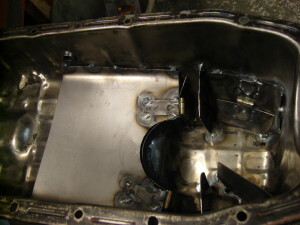 Additionally, in order to keep the oil in front when braking angry, 2 one-way doors are added and a one-way door is added to the side chamber that adds 700cc additional oil.